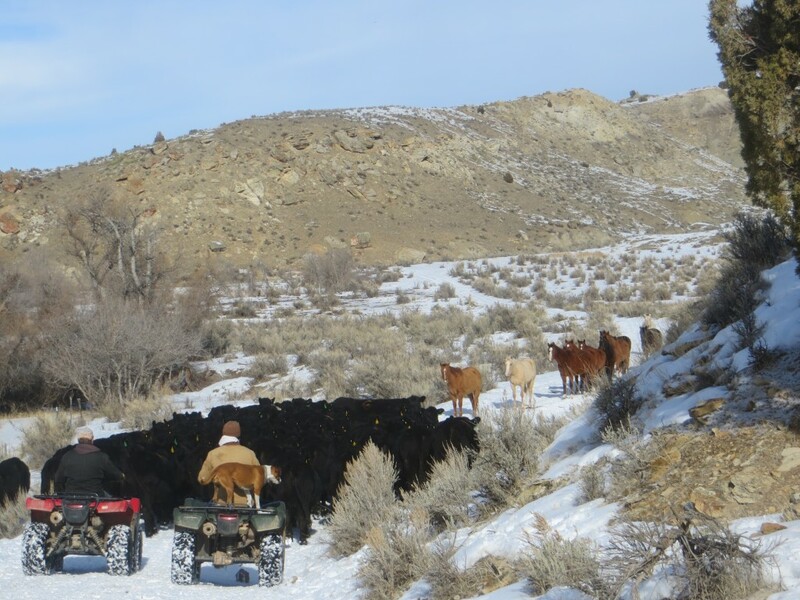 When moving cows along a road… should you desire to split them… I have the technique for you to try. First, get your horse herd to stand in the middle of the road. Now, how you accomplish this is up to you… ours seemed to be well trained at this! 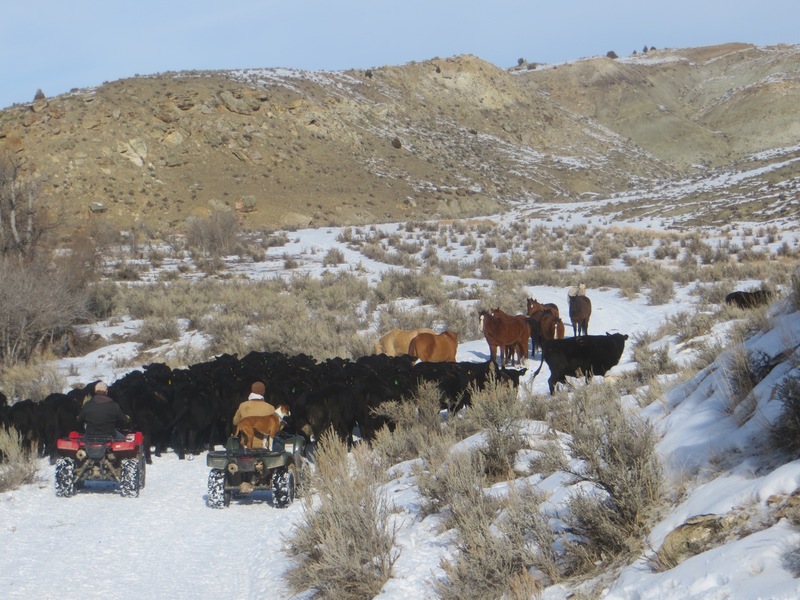 The boys stopped their four wheelers… the horses didn’t move. 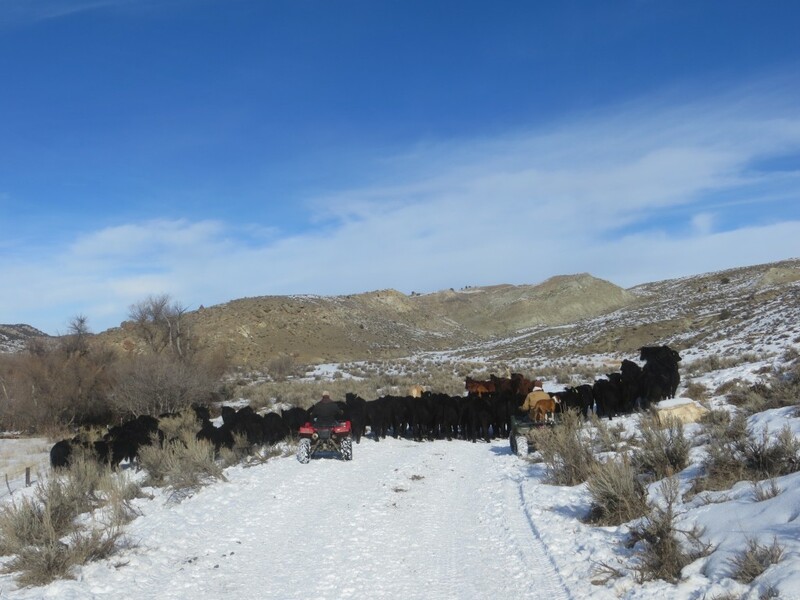 The cows continue on their way… splitting out into the sagebrush. The horses continue to hold their ground. That’s it. A perfect split. I give the horses an 8.5 for technique. 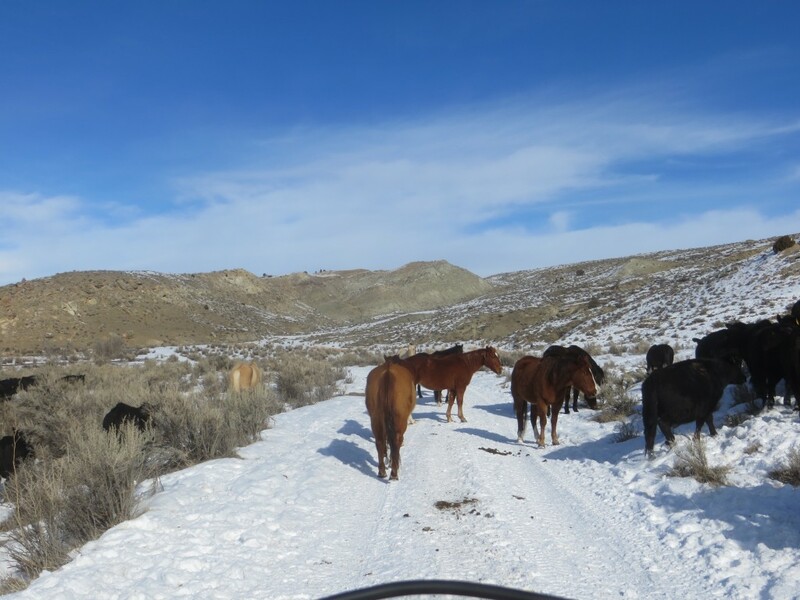 The cows received only a 7 since they took some encouraging to get back on the road. Feel free to use this handy tip should you ever need to split your herd while going down a road. I’m here to help. Hey, Mom. Love ya. Miss ya. Too funny. Bet the guys weren’t laughing. Glad you were there to get the shots. What a hoot! Always learning aren’t we? Love the pictures!! Just proves horses are more hard headed!! Very intelligent horses. Could I use that technique in a crowded supermarket isle when there is no room to move!!!! Maybe just stand still and let the everyone else flow either side of me!! !